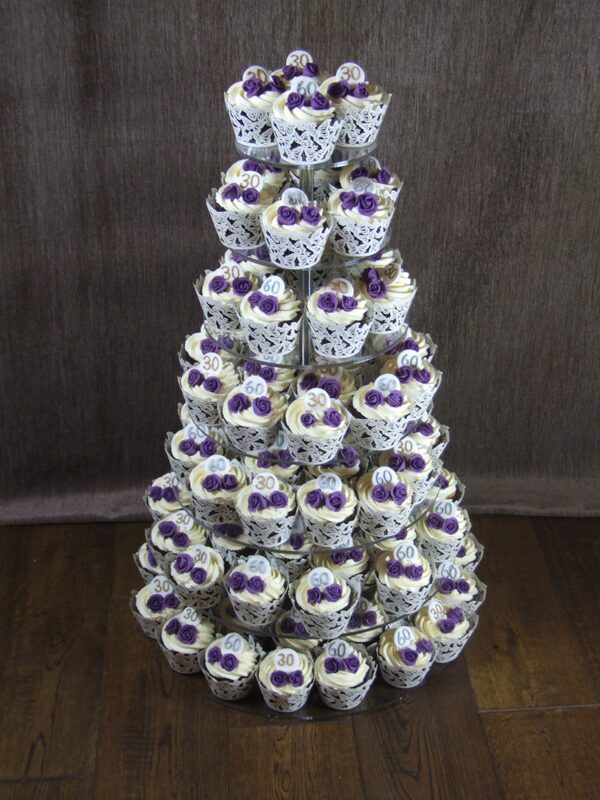 I love cupcake towers, I think they look so effective and when using the full height of the stand they make quite an impressive display. 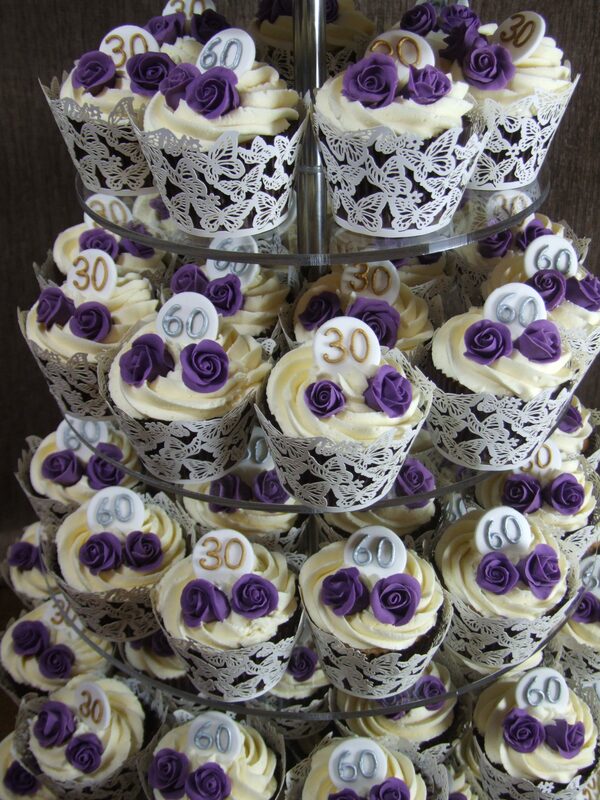 This order was actually for a joint birthday party, but would work just as effectively for a wedding. 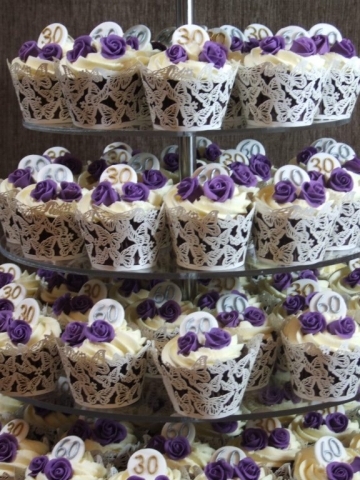 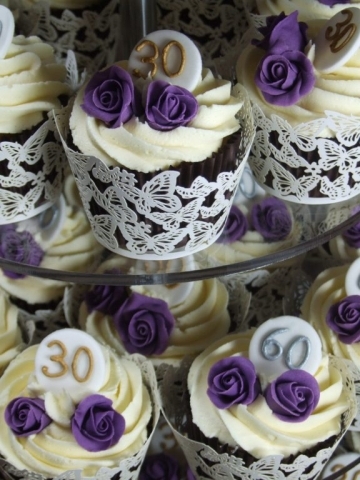 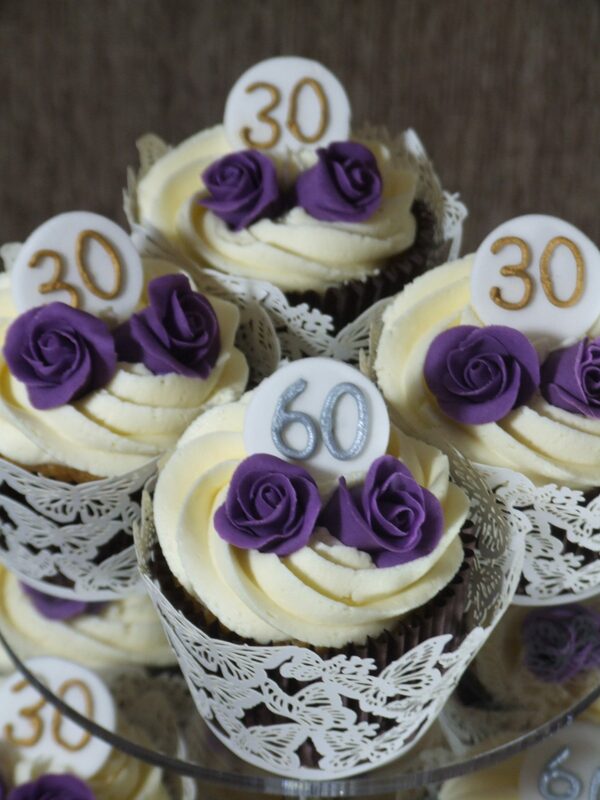 Each cupcake has two small roses, and a monogrammed plaque with either “30” or “60”. 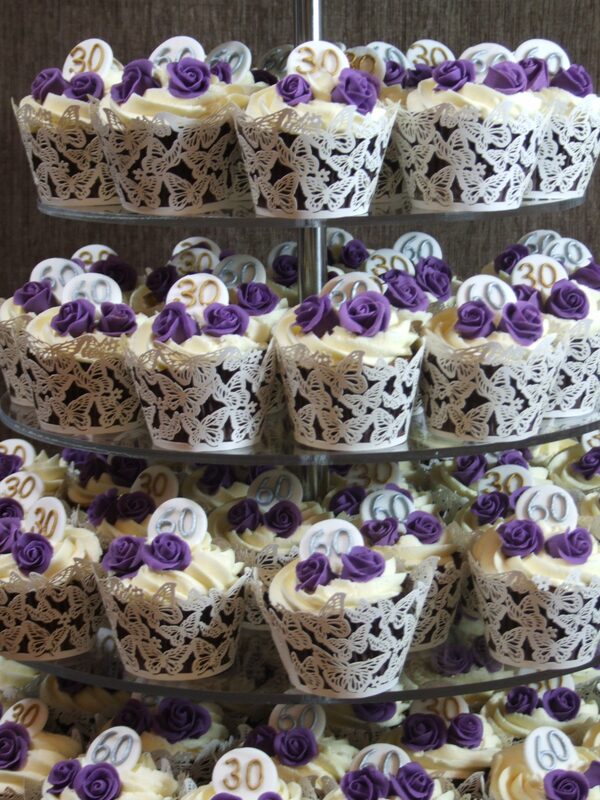 With 100 cupcakes in total, it was fair to say I didn’t want to make any more roses for some considerable time after! 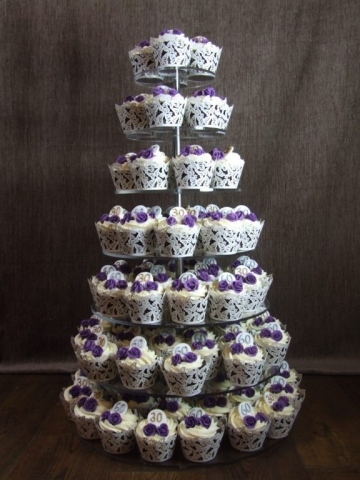 I also established when setting it up at home that the maximum capacity of my cupcake tower, including the top tier, is actually 100 cakes, it was a tight fit! The tower is available to hire with a large cupcake order and can be used either as full height, or fewer tiers.